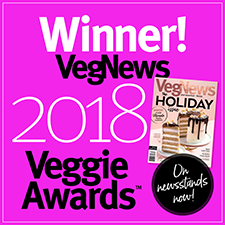 It’s finally here – the Vegg is the first vegan egg yolk alternative, and is the perfect cruelty-free substitute to use in your favorite recipes. Just mix 1 tablespoon of the Vegg Yolk mix wtih 1/4 cup of water, blend, and you’ll have a creamy yolk substitute that’s ready for cooking! 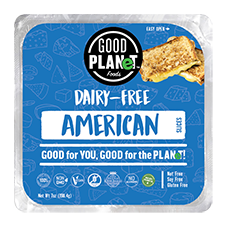 The possibilities are endless with the Vegg – you can now make perfect vegan French toast, vegan “egg” nog, frittatas, custards, cakes, and even Hollandaise sauce! Whatever you can imagine, the Vegg will help you create awesome dishes every time (visit www.thevegg.com for a fantastic list of recipes!) Gluten-free. 4.6 oz. (130g) package is $10.99 and contains 200 servings! From Ben of Auckland, New Zealand on 1/22/2019 . Warm up and mix in metal bowl on double boiler. Once warm and mixed add 1 tsp vegg yolk powder. Mix aggressively with stick blender until combined. Remove from heat and mix in 1/4 tsp mustard and salt to taste. From Jennifer of piscataway, New Jersey on 11/30/2018 . I used it as an emulsifier to replace lecithin in a vegan "butter" recipe, and it worked perfectly. It definitely is like an egg yolk in its viscosity and aroma. Great product. 2nd Review of This EGGCELLENT Product! I have to add another review as I found another way to use this which I'll call "the lazy person's way", which applies to me 100%. I absolutely LOVE this stuff, and was so happy to see someone else mention the method I use. This is in reply to the "Vury Tasty" review from Anonymous of Coral Springs, Florida on 4/9/2013. They said to just sprinkle directly on the food. This is pretty much what I do as well and have it works wonderfully. I buy Amy's Tofu Scramble frozen dinner (brkfst) and I used to measure, mix and then drizzle the Vegg over it, which was great, BUT for even less hassle I just started sprinkling directly on the scramble, thickly, and then what I do is drizzle a little water evenly over the sprinkled Vegg. I think it works great and does have that yolk flavor for the scramble, and thick too. You can adjust and sprinkle as little or as much as you want. I like it to be strong tasting and thick, so I think this accomplishes that. I've also tried the french toast mix and love that too! Tastes just like what I remember as a kid. Way to go again!!! (just keep working on that scramble mix, pleeeaaassseeee, :) .....). 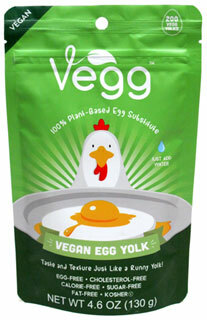 I also, as many have said, love dipping vegan toast w/Earth Balance in this Vegg, tastes EXACTLY like a yolk, AMAZING. From Anonymous of Boston, Massachusetts on 5/25/2015 . I found that if I sprinkle The Vegg on top of the water and then use a product called Areolatte (BB&B about $20) - meant for frothing milk for lattes - it mixes The Vegg quickly and with PERFECT consistency every time. Important to add it to the water and not the reverse. Makes a huge difference in how it turns out. LOVE this product and the Baking Mix one. Use them most every day!! Out of this world great!!!!! From rose Chilibeck of Haileybury, Ontario on 2/20/2015 . It was totally worth every penny to get this product shipped to northern Ontario! It is unbelievable. Kudos for an amazing product. One review said it had a sulphur smell of eggs, yes but you aren't eating it ragout of the bowl. Once mixed you are adding it to food and it makes the perfect taste once cooked. I can't recommend this product enough! !